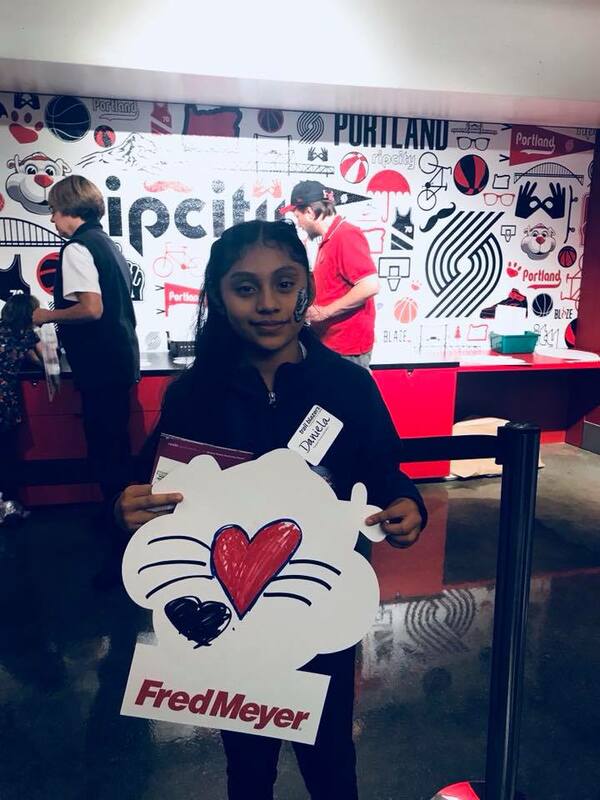 As one of the recipients of the Trail Blazers Foundation’s Live, Learn and Play Grant, PT&E was given three tickets to attend last nights celebration and game between the Blazers and New Orleans Pelicans. We held an essay contest where students wrote about what it means to be a global citizens to decide who would go to the big game. Barry and Daniela, from the Elephant’s Classroom, earned the opportunity to attend the game with Coach Nina! Thank you to the Trail Blazers Foundation for selecting and celebrating us, and thank you Nike for sponsoring the Play Grant of which we were recipients of.